Green Beach Festival is a summer festival devoted to the incredible sound of the modern music which is held each summer at the beginning of August. 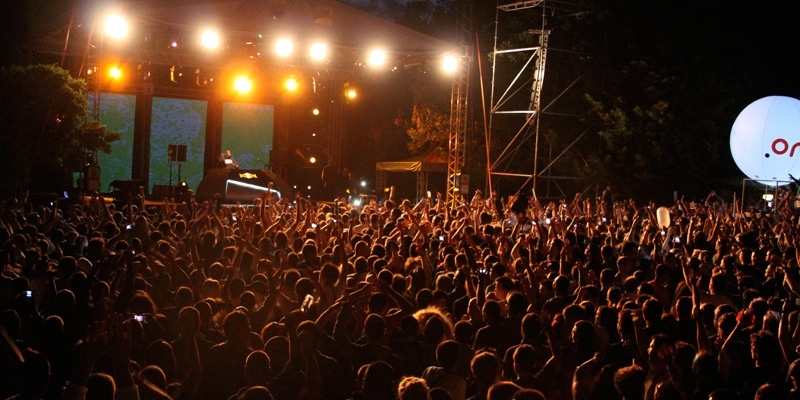 The first edition of Green Beach happened in 2009 and so far this festival has certainly strengthened its position as the most prominent electro event, continuing the tradition as the best summer party in Macedonia and the region. It's held each year in Ohrid, at the beautiful beach "Park" on the Ohrid Lake. Green Beach is festival spectacle which gathers more than 10.000 fans of the electro sound and presents planetary stars of the electro genre. The festival line-up so far consisted of the most important DJ's and producers of the contemporary music scene like ARMIN VAN BUUREN, CARL COX, PAUL VAN DYK, SUNNERY JAMES & RYAN MARCIANO and other musicians from the world's DJ elite. Beside the big headliners, the stage of the Green Beach Festival features the local resident DJs.